Ipsito Das is IMDB recognised professional Fashion Photographer was born in Kolkata in 1985. Born and bought up in family where culture was nurtured in painting, singing, and poetry. 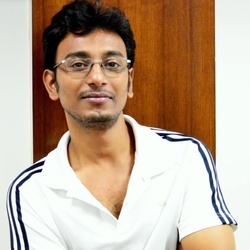 After completion of Photography course from New York Institute of Photography, he started working as freelance photographer in Advertising agencies in Kolkata, having assignments with agencies like JWT, Bates, Mudra, Impact, Orient Communication, Cygnus Advertising, Campaign for Toyota Corporation, Adrija Jewelers, Koovs, Pantaloons, P.C. Chandra, Color Proof, Tachymetre, MinuSaree, HNG, B.B. DuttaJewellery, Rupashree Jewelers, Senco Gold Jewelers, Singini, Indian Rayon, Marg (Costume Designer), Bose, Tantra, The Park, etc.In SPACOS Paris in 2008 Exhibited photographs in SPACOS Museum 2008 Jun. Worked as contractual photographer in Vogue Australia, Yahoo, Asst photographer for GQ India, National Geographic channel, Itimes, CNN IBN. Since 2012 successfully running own studio Ipsogrpahy for commercial photography only.